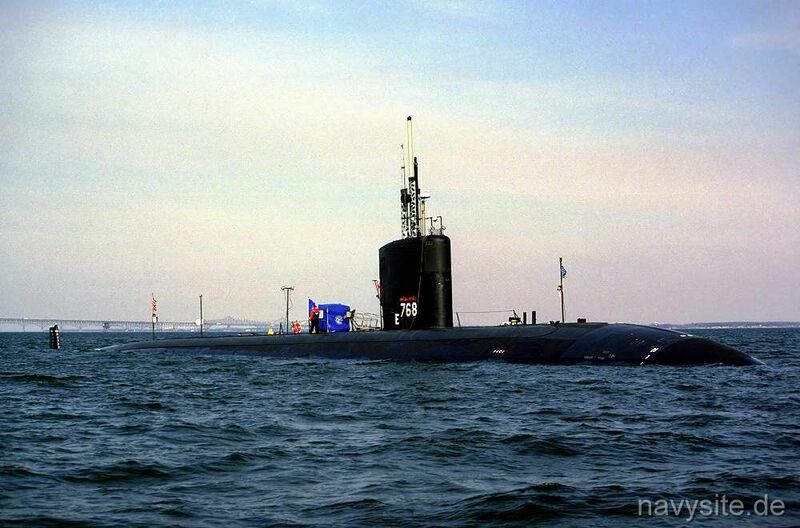 USS HARTFORD is the 57th submarine in the LOS ANGELES - class of fast attack submarines. 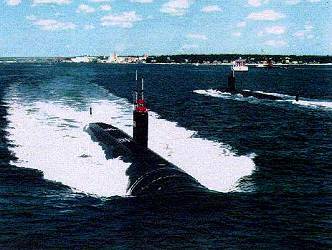 Builder: Electric Boat Division of General Dynamics Corporation, Groton, Conn. This section contains the names of sailors who served aboard USS HARTFORD. It is no official listing but contains the names of sailors who submitted their information. 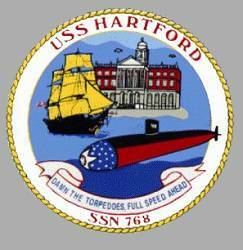 Click here to see which USS HARTFORD memorabilia are currently for sale on ebay. 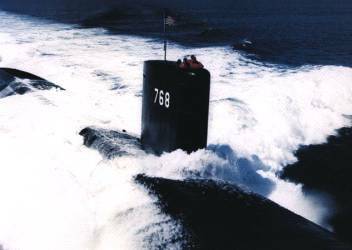 October 25, 2003 off La Maddalena, Italy USS HARTFORD runs aground causing limited damage to its rudders and scraping its bottom. No injuries or environmental damage are reported. 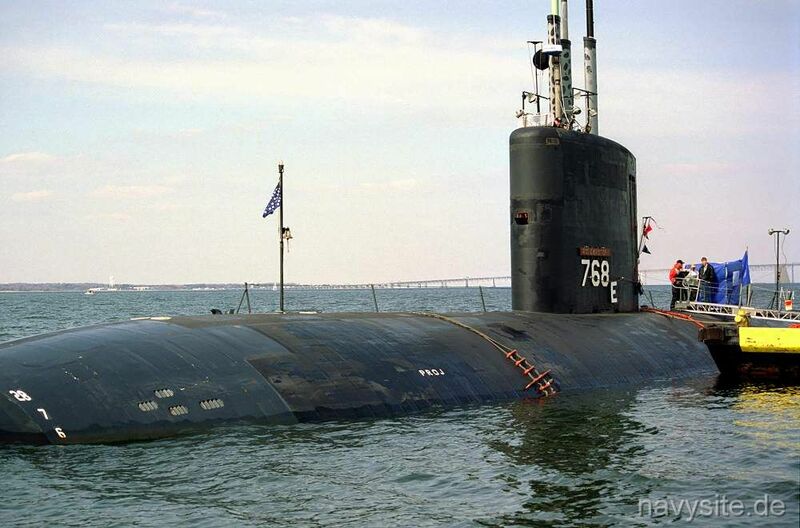 After temporary repairs, the HARTFORD returned to the Norfolk Naval Shipyard for additional repairs. 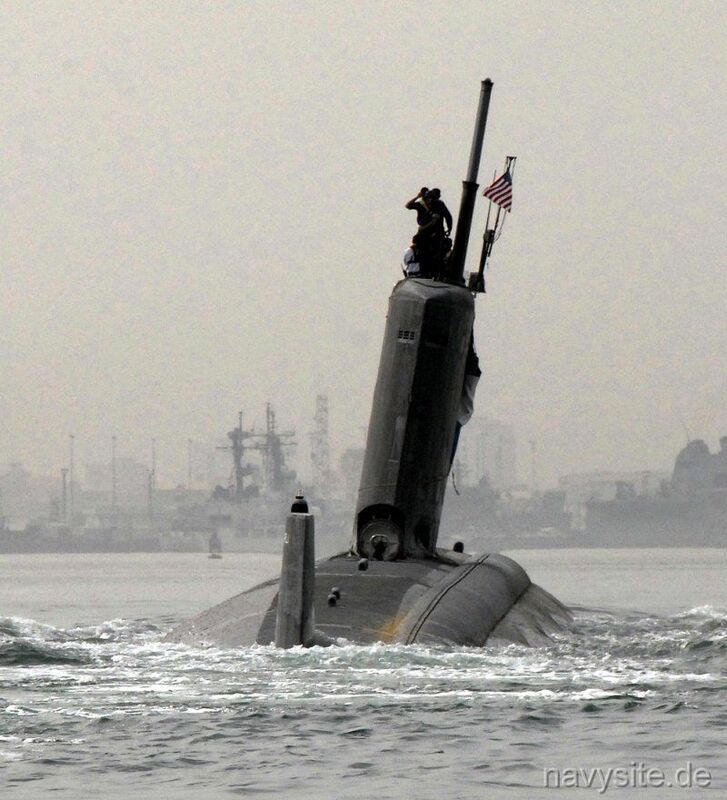 USS HARTFORD had just began a 6-month deployment one month before the grounding. Following an investigation of the grounding, HARTFORD's Commanding Officer, Cmdr. 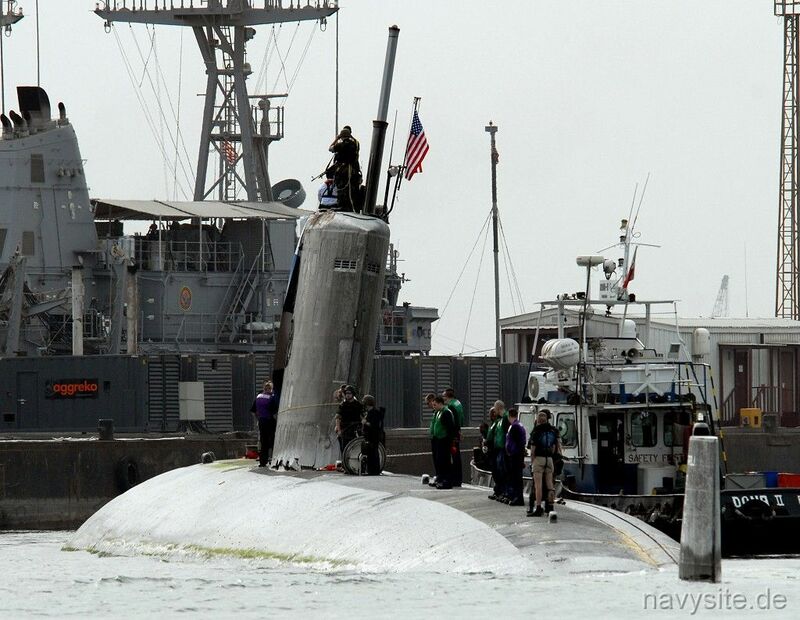 Christopher R. Van Metre, as well as one other officer and one enlisted crew member were relieved of their duties. 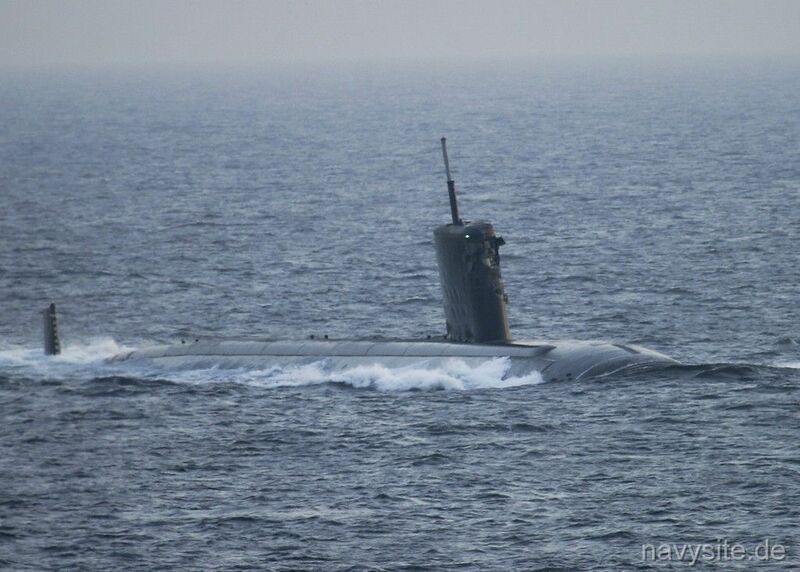 Also relieved was the Commander of Submarine Squadron 22, Capt. Greg Parker. March 20, 2009 Strait of Hormuz USS HARTFORD and the USS NEW ORLEANS (LPD 18) collide at approx. 1 a.m. local time. 15 HARTFORD sailors are slightly injured while no injuries are reported aboard the NEW ORLEANS. 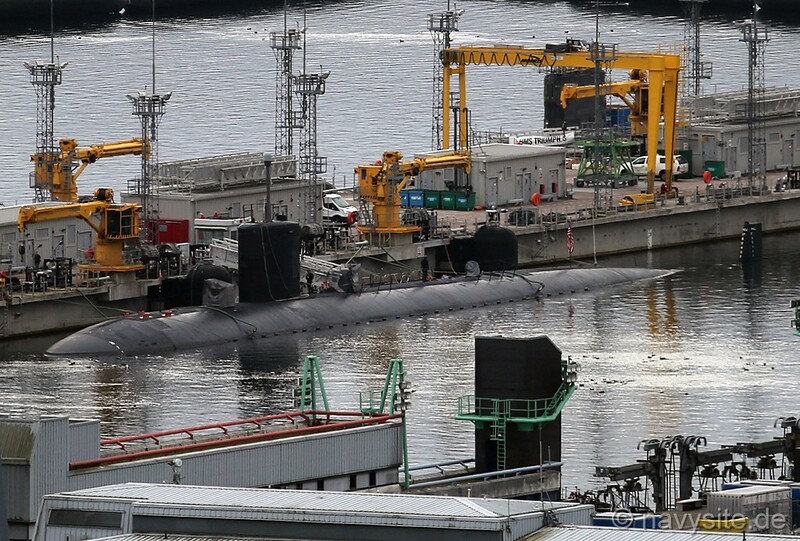 The submarine suffers damage to its sail but the propulsion plant was unaffected by the collision. NEW ORLEANS suffers a ruptured fuel tank, which resulted in an oil spill of approximately 25,000 gallons of diesel fuel marine. Both ships were able to continue operating under their own power. 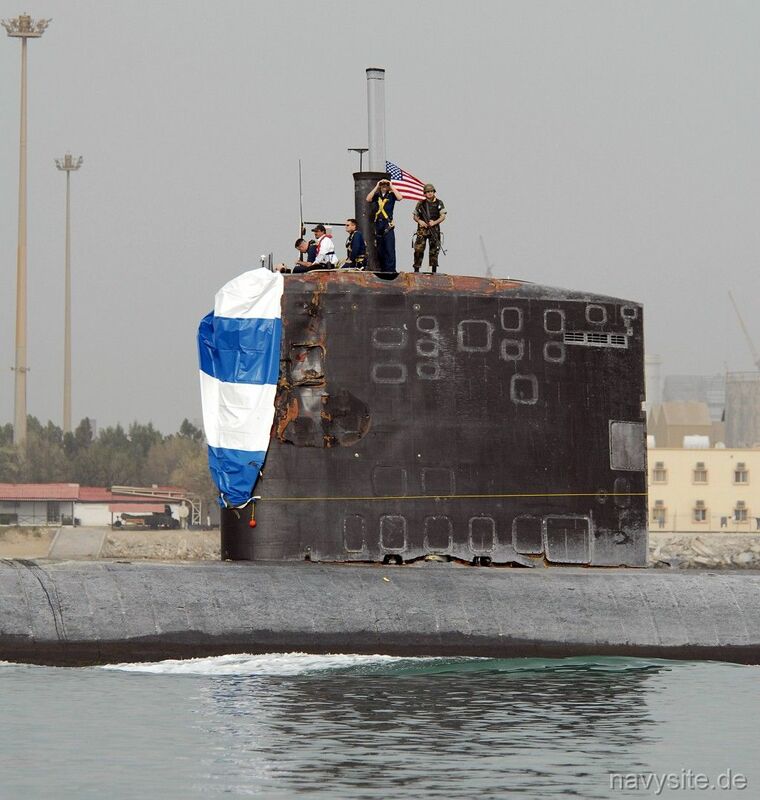 The photos below show the HARTFORD with her damaged sail underway in the Persian Gulf after the collision and arriving at Bahrain for damage assessment. 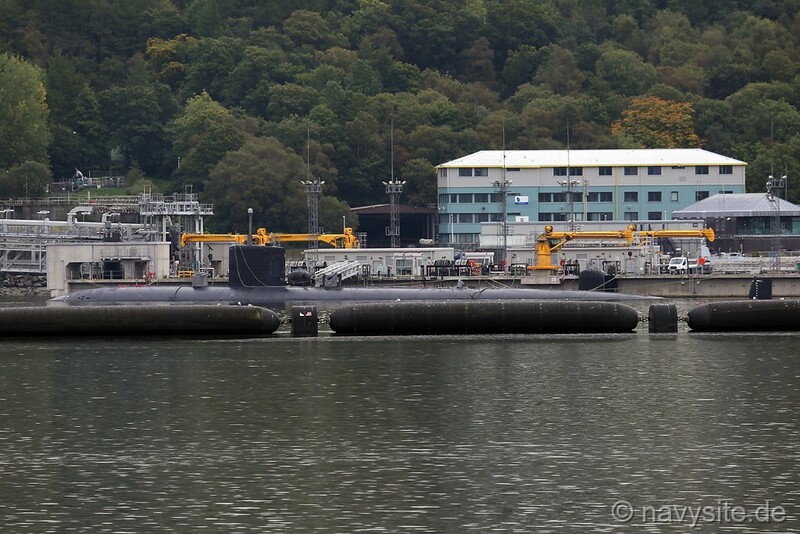 The photos below were taken by me and show the USS HARTFORD at Royal Navy Base Faslane in Scotland on October 3, 2015.